Saur has launched an R&D project called Extraphore™. Its aim is to recover phosphorus as part of the wastewater treatment process. It also represents an essential route to conserving and recycling a resource that is crucial to our planet, especially in terms of agriculture. We meet research engineer Vincent Jauzein. Could you explain what it is that makes Extraphore™ innovative, compared with other solutions available in the market? Vincent Jauzein: Before I answer that, it’s important to remember that phosphorus is one of the very few elements that receives no automated treatment in today’s wastewater treatment plants. As a result, it is not effectively addressed in the same way as carbon or nitrogen, for example. Nevertheless, it is a purely empirical issue, since it consists very simply of adding ferric chloride at the beginning of the treatment plant process… the quantity of this reagent injected into the system is a direct function of the concentrations of phosphorus measured in the water leaving the treatment plant! So our new process addresses twin goals. On the one hand, we wanted to develop a low-cost, simple and effective system that would allow wastewater treatment plant operators to control flows of phosphorus in a logical way as part of an overall management strategy for this key element. On the other hand, we wanted to look at the problem from the point of view of recycling and reusing the phosphorus recovered by the process. By doing so, we ensure that our work is consistent with the principle of a circular economy, and therefore perfectly consistent with the concept of sustainable development. Could you tell us more about how Extraphore™ actually works? V.J. : Extraphore™ focuses on optimising the work done by phosphorus-removing bacteria to enable continual biological phosphorus removal throughout the wastewater treatment process. In broad outline, the first stage consists of providing anaerobic conditions on the inlet side of treatment tanks to promote the growth and activity of these micro-organisms by controlling the anaerobic process continually through the use of ‘redox’ sensors. Monitoring of the data generated makes it possible to ensure optimum conditions, and if the system is subject to continued disruption – as a result of heavy rainfall, for example – to make corrections automatically by injecting the correct amount of reagent, which might be ferric chloride or aluminium salts. 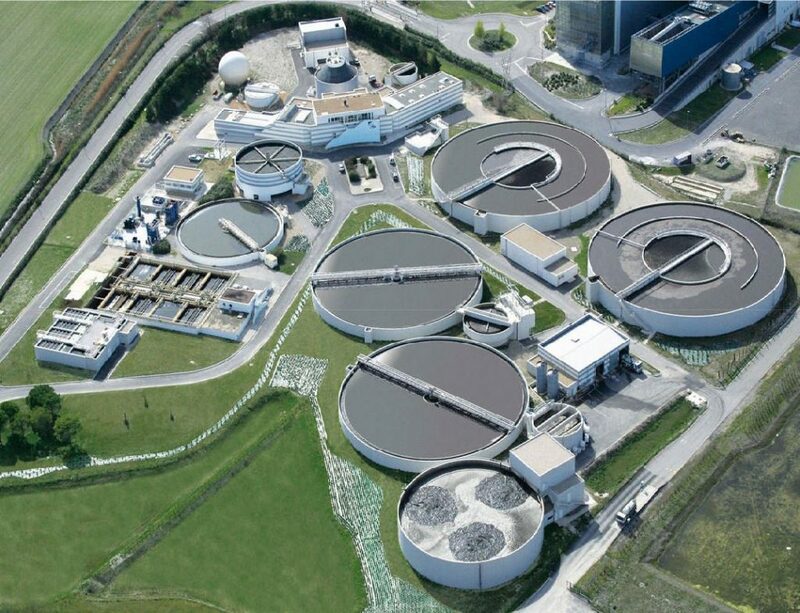 The second key point of Extraphore™ is the recovery of the phosphorus accumulated by bacteria during the successive phases of wastewater treatment. So at the end of the treatment process, the resulting sludge is stored for between 24 and 48 hours, still in an anaerobic environment, which encourages the bacteria to release the phosphorus they contain. The sludge is then filtered and/or centrifuged to remove the phosphorus-rich water. The phosphorus is then precipitated out of the water by adding lime, and is then recovered in mineral form as hydroxyapatite. So the process delivers three ‘products’: high-quality, phosphorus-free treated water, a mineral with the potential to be recovered for use as fertiliser in agriculture, horticulture etc., and residual sludge with a low phosphorus content, which makes it easily spreadable. The bottom line is that we have a process that enables end-to-end management of phosphorus in wastewater treatment plants. So what are the practical benefits of Extraphore™, and how far advanced are you in its development? V.J. : It has the potential to be installed in all wastewater treatment plants that use a biological phosphorus removal process. Unlike other solutions available in the market, it removes the need for a sludge digester or incinerator, which considerably widens the spectrum of ‘eligible’ wastewater treatment plants, whether small-scale or large-scale. 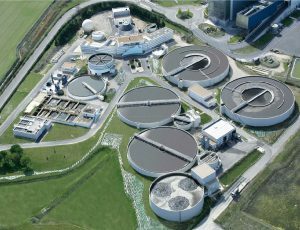 The next benefit is that our solution enables savings to be made in a number of areas: less reagent used, simplified treatment plant operation, and therefore man-hours saved, an easy-to-use process, recovery of up to 50% of incoming phosphorus and improved recycling and recovery of sludge… all of which is achieved at low installation cost in treatment management terms. 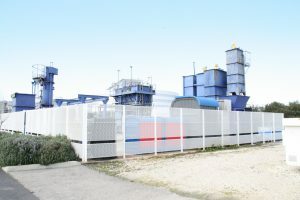 The process has already been filed and patented following development in two treatment plants; one of 220,000 population equivalent (PE) in the Gard region, and the other of 28,000 PE in the Morbihan region. Its industrial scale implementation is scheduled for next year in a treatment plant with a capacity of 120,000 PE in Provence. Phosphorus is a key ingredient of agricultural fertilisers. But the phosphate it is derived from is not a limitless resource. Global reserves – the majority of which are found in China, the USA, Morocco and Western Sahara – are estimated at around 16 billion tonnes. Given today’s continually rising level of demand, those stocks are forecast to run out in the second half of the 21st century, potentially triggering serious geopolitical tensions. It is therefore essential to develop and perfect methods for recycling phosphorus, and the amount contained in wastewater could meet up to 20% of demand for the element in Europe.